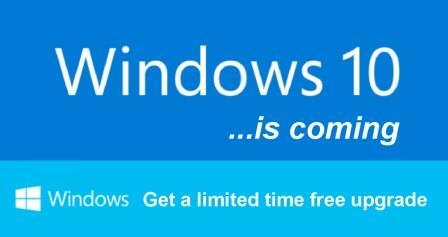 Microsoft announces date for Windows 10 launch. Home / android / Microsoft / News / Windows / Microsoft announces date for Windows 10 launch. In keeping to its promised to release Windows 10 in the summer, Microsoft has announced July 29th as the official launch date of the much awaited and publicized Operating System. This also gives credence to the earlier tip from AMD CEO Lias Su who had revealed that Windows 10 would be launched in late July. Although the recent developers’’ builds of the OS has been undergoing continuous changes in features, this new date means that Microsoft will have to work round the clock to fix all reported issues and bugs even as the OS continues to gain wide acceptance. A lot of Windows 10’s new features are part of universal Windows Apps, and the software company can easily update these even before many consumers buy new machines with Windows 10. As part of preparing users of Windows 7 and 8.1 for this launched, Microsoft has included a notification pop-up into the user’s taskbar. The notification will launch a slideshow explaining the features of the new Windows 10 and also provides option for users to drop their email address to reserve a free copy of the Windows 10 upgrade. See Also: How Microsoft plans to make Android app run onWindows 10 and other features. Windows 10 is expected to rollout across all devices both on mobile and desktop. However, there would not be a simultaneous launch of the OS as Windows phone will gradually be phased out for the universal Windows 10 mobile. Microsoft had also launched a project for the porting of Android and iOS apps to Windows 10 to enable your favorite android/iPhone apps to run on Windows 10 devices.